The Dakar Rally has long stood at the pinnacle of off-road motorsport challenges, earning a reputation as the world’s toughest motor race, challenged only by the Isle of Man TT for brutality and the World Rally Championship for its test of endurance. These days, the threat of terrorism has driven it from Africa to South America, but it is no less of a challenge for it. 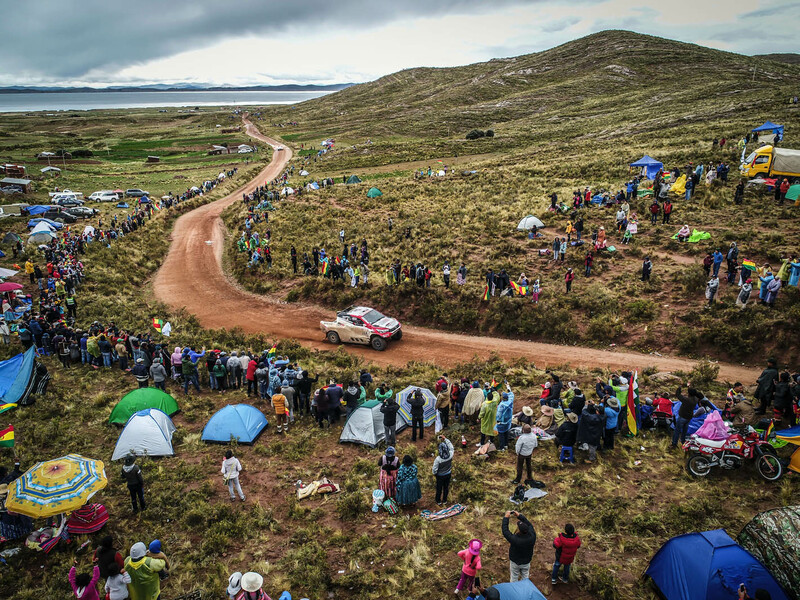 This year’s event began on 6 January and concluded on 20 January, covering 5600 miles – half of them at competitive speeds – from Peru, via Bolivia and into Argentina. The longest day involved more than 550 miles of driving, the longest competitive section was 310 miles. Competitors had just one rest day. 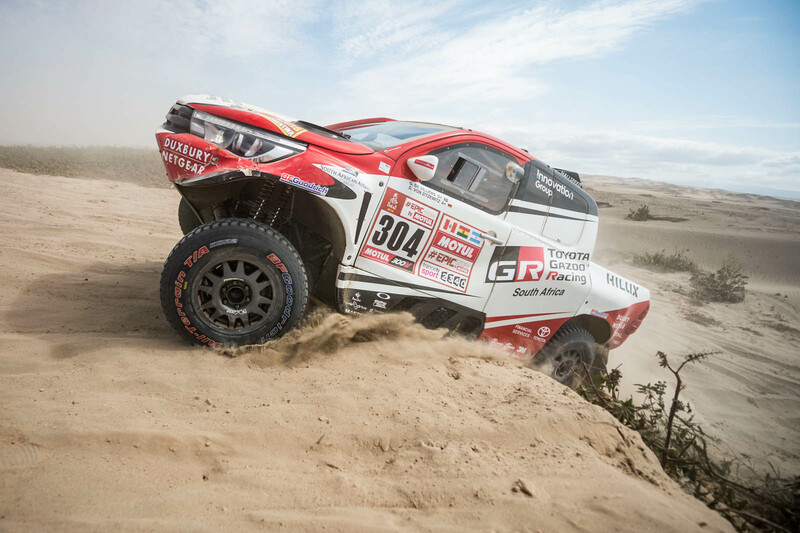 The event produces a raft of iconic images every year, but this year one in particular has stood out, of South Africa’s Giniel de Villiers, a winner of the event in 2009, and German co-driver Dirk von Zitzewitz bursting through a sand dune in their Toyota Gazoo Racing SA Hilux. Here, in de Villier’s own words, is the story of the picture. “There’s a big difference between being in a dust cloud and not being able to see. In the car all your senses are heightened. It’s intense. You listen to the engine, your navigator and so on. If you’ve driven on the road with your wife telling you to slow down, you’ll relate! “The Dakar is incredibly tough. A normal person would probably dream of doing it once, do it, and then never come back. But if you do well one day – especially on a tough day – well, it’s a great feeling. We come back for the adventure and the challenge. “I once drove a 420-mile stage on the Dakar. That one took 11 hours to finish. Temperatures in the cockpit were 60degC, the air-con couldn’t cope.